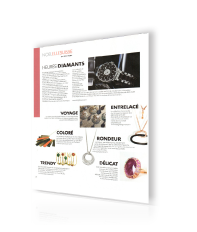 Our jewelry collections around the world. 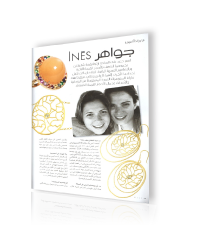 Inès Jewelry was founded in 2010 by sisters Caroline and Nathalie. Thick as thieves throughout their lives, yet complementary in their skill-sets, they decided to put their passion to work and launch a new brand of jewelry. 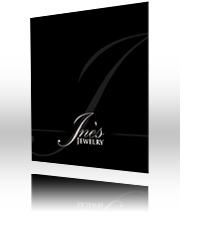 Inès Jewelry designs stand-out due to their contemporary, fresh and delicate designs. Each gem has been chosen very carefully and the creations strike a fine balance between modernity which dazzling colors and the more classic diamonds and gold. 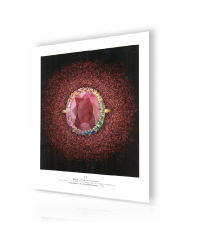 Nathalie : « Since my childhood I have been fascinated by the color, shine, rarity and mysterious charm of gems. I was lucky enough to be able to pursue my dream and spend time in numerous cities around the world studying and learning about the very stones which were such a source of captivation to me. 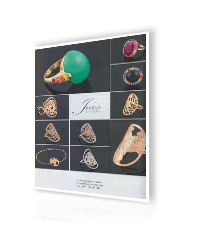 To me, Inès Jewelry is a dream come true; an opportunity to do what I love with the person who is closest to me ». 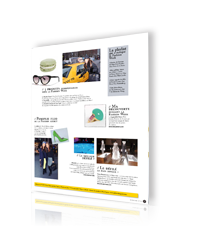 Caroline : « I have always enjoyed experimenting with fashion : always following and anticipating the latest trends. But I am far from being the gifted and dedicated artist my younger sister is. We work together in perfect harmony as only two sisters can ». Nathalie has a diploma in drawing from the Gemmological Institute in New-York (GIA), a diploma in Gemmology from the National Institute of Gemmology in Paris (ING) and a certificate in Diamond graduation from the Gemmology Association of Australia (GAA). She currently lives and creates in Geneva. Caroline has a Degree in Business Administration from EDC in Paris. She lives in Dubai with her family.